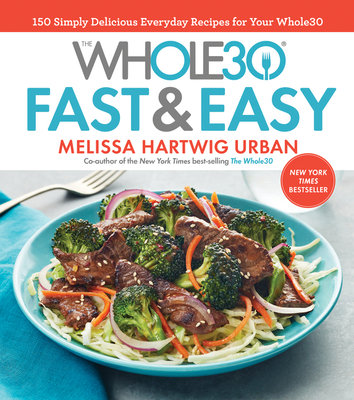 Millions of people have transformed their lives with Whole30, yet co-creator Melissa Hartwig wants to make it even easier to achieve Whole30 success—with delicious, compliant, fast, and easy recipes. This follow-up to the best-selling The Whole30 Cookbook is packed recipes designed to get you out of the kitchen fast, so you can enjoy all the benefits of your Whole30-inspired lifestyle. Whether you’re doing your first Whole30 or your fifth, or just looking for some healthy, fast, and easy recipes to try, this collection is a must-have for any kitchen. MELISSA HARTWIG is a Certified Sports Nutritionist who specializes in helping people change their relationship with food and create life-long, healthy habits. She is the co-creator and CEO of the Whole30 program, and a five-time New York Times best-selling author, including the #1 bestseller The Whole30. She lives in Salt Lake City, Utah.